These third-generation trucks were produced in ten different factories across the United States, two in Central America, one in Canada, and one in South Korea, of all places. To many, these are the most iconic of all Chevrolet trucks and, while build quality varied, so did the smorgasbord of configurations. 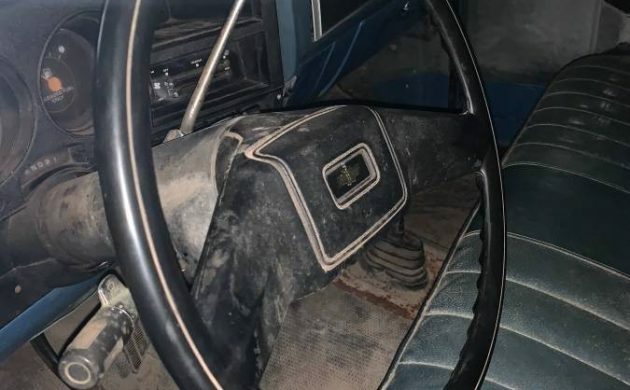 One could get everything from the most basic 2-wheel-drive plain-jane straight-six to the plushest and comfortable status symbol with a big-block 454 v8, to the most heavy-duty workhorse with a 379ci Detroit diesel. The United States Government purchased thousands, gasoline and diesel, for use all over the world in ambulance, troop-carrier, field maintenance, runabout, and other various configurations, the last of which have only recently left service. Civilian firefighters have for decades trusted them as off-road brush firetrucks, command vehicles, and even Emergency Medical Service quick-response rigs. So, why this one? Well, the seller doesn’t mention specifics like engine size or which automatic transmission it has, however it looks to be in decent overall shape, and even if it does end up needing a few things, the plethora of aftermarket support is astounding and many parts interchange between sub-models and trim levels. Nearly every single piece is available used, NOS, or new aftermarket, and the online community of enthusiasts and DIY-ers is immense. 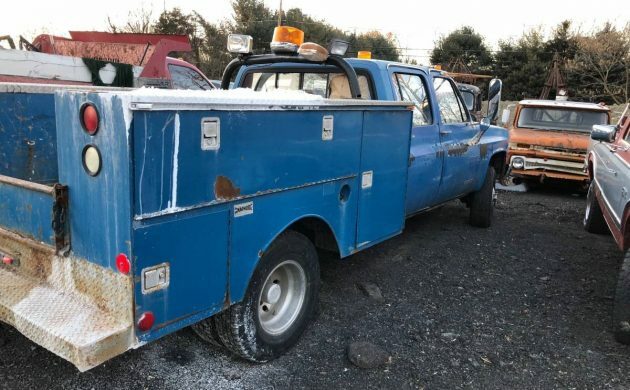 This particular one has reportedly had $1,800 of recent brake service and, judging by the pictures alone, looks like it could almost go right back to work tomorrow. 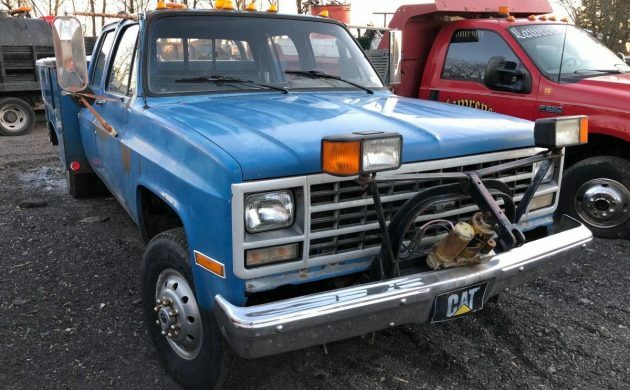 With a reported 86,000 miles, manual-hub 4-wheel-drive, dually rear, automatic transmission, the utility body, a plow attachment, the great availability of parts and upgrades, the reasonable asking price, the ease of maintenance, and the relative rarity of it (as compared to the C/K 10s, which went away in 1987 for America), this truck could probably do whatever you need it to do, and is ripe for customization any way you see fit. 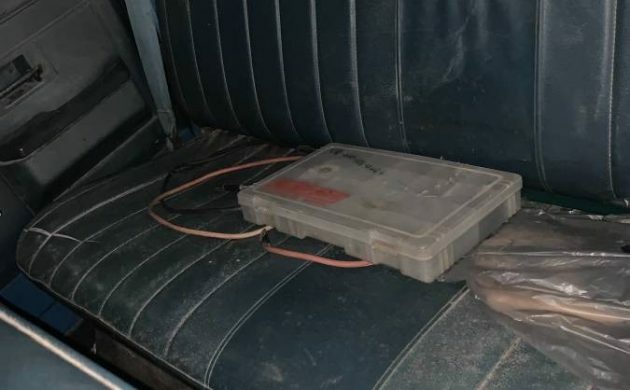 What is that box in the back seat, a computer ? Looks like one of those snap lid organizers? Handy for electrical connectors or any other small parts really. In before the “where’s the barn??? ?” Or “this isn’t a used car site! !” Crowd. IMO probably the best truck gen ever, I’m sure GM regretted selling them at some point deeming them ‘too good’.That is at least if you can lay your hands on some of those lesser optioned versions without power everything that sooner or later will fail. Hadn’t it been equipped with that ugly bed or because wifey would deny sitting in the truck this is the kind of vehicle I’d DD during winters. Those of us into beacons may also note it seems to have a desirable Dietz 7-11 4 bulb beacon with an OE dome! 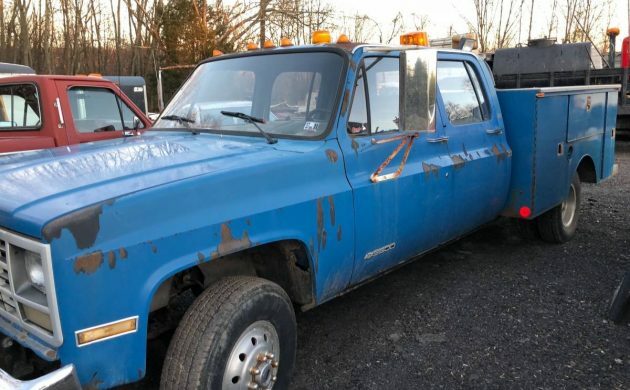 Nothing rare about this truck , its a common crew cab daulie . Alot of these came with 350 th400 and 454 th400 which were most popular with towns and state highway depts. Also with power and phone companies. These trucks were from 73-93 last few years in 90s were govt ordered . The diesels seemed to be problematic for gm and seen alot of conversions to 350s . They are popular trucks and the rears are bullet proof and last . I have worked on quite a few in my day and still own one .